Review aggregator site Metacritic has published its yearly rankings of video game publishers, providing a list which shows how well each company performed as a whole throughout the year based on average review scores. 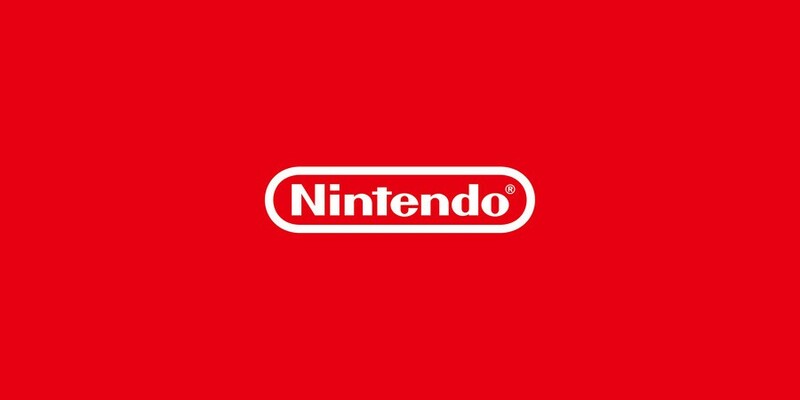 Nintendo ranked fourth amongst all "major publishers". For the rankings, all game publishers have been split into two lists, "major" and "mid-size"; to qualify for the "major" list, a publisher must have released 12 or more games in 2018. From there, the lists are based solely on the quality of each publisher's 2018 games as determined by qualifying critics' scores; sales and user reviews are not counted towards the totals. As well as the average review score, other factors such as the number of high-scoring and low-scoring releases per publisher also affect the ranking. Further information is also provided for each publisher; Nintendo's highest scoring game was Super Smash Bros. Ultimate (93), its best-scoring new IP was Octopath Traveler (83), and its worst-scoring release was Kirby Battle Royale (57). Fan favourite games included Bayonetta + Bayonetta 2, Donkey Kong Country: Tropical Freeze, and Octopath Traveler. One "mid-sized" publisher, Activision Blizzard, did also beat Nintendo's average review score with a total of 77.4. This list, which also features publishers like Bethesda, Microsoft, Team17, Warner Bros., and Konami, can be viewed here. Any surprises on that list? Do you have a favourite publisher of 2018? Let us know your thoughts in the comments. Like them or hate them, EA still makes good games and I want some! wtf ? how comes ? @Spoony_Tech Like? I'm not being mean, I'm just genuinely curious what game they put out last year that would be considered good and worth getting. Not too surprised to see Nintendo a little low last year. It was a pretty quiet year for first party games with quite a few titles that were either average (Kirby, Mario Party) or bad (Mario Tennis, Pokemon Let's Go), and some Wii U ports. Smash Bros. and Sushi Striker (and Torna if you count it as a standalone game) the standouts for mine. If atlus was counted towards sega since sega owns atlus I can get that placement. @ThanosReXXX All their sports titles are rated for every platform they put them on, and that's the majority of their output. They released the least games of any 'big' publisher. And you know how well those score lol. @BenAV But Pokémon LG did pretty well with the reviewers, didn't it? It has an average of 80 on Metacritic, from which the publisher ranking is taken. I think it's a pretty good, if somewhat lazy game. i think it's funny that EA has an higher score than Nintendo? consider EA is the worst company of the year? @link3710 I'm interested in the sports games they don't bring over like Hockey and Football personally. Not sure about the other stuff tbh. I'd guess Nintendo release more games per year than any other publisher and they publish a lot of smaller games which I imagine would bring its overall score down. I wonder what Nintendo's average would've been if Kirby Battle Royale is discounted? That title was a rare miss. Guys, critic's reviews are up before people can experience the awesome microtransactions scams that every EA fan loves. That's probably the reason they are at number 3. @Quarth To be clear, my examples there were based on my own personal opinions on those games rather than how they reviewed. The Let's Go games reviewed reasonably well but I personally think they're complete garbage. Congrats to Nintendo. And congrats to the guys above Nintendo. Poor Kirby, taking an absolute pounding on Metacritic. No wonder he made sure he took the chance for revenge by leading out in Smash Bros.
@Spoony_Tech Ah, that explains it, I have zero interest in sports games outside of Tennis. @Spoony_Tech What good games EA does? 15 years ago, that was absolutely true.They had the best licenses and the best games, these days, they only throw crap at us. @link3710 Aw, fuzz. Forgot the smiley. Fixed! I was being sarcastic. Of course, we all know where most of their revenue comes from. I used to really enjoy EA games, but then the Genesis was discontinued. How did EA score so high on the list when "quality" is a measuring factor? That truly baffles my mind. @SenseiDje it’s mostly EA Sports. Plus A Way Out was really good. And I guess a Sims expansion or two. i seriously call bs on this list ea higher then nintendo whoever came up with this list needs to be slapped. @link3710 A Way Out was really good. That was the only EA game I played in 2018. @PrincessBowsette It’s an overall average. No single person made this list up, haha. @imgrowinglegs its still bs man. Wow, didn't know sega had that many highly reviewed games, they should have made them all exclusives for a Sega Console. EA?! Capcom and Sega really did deserve those spots and all, but EA really didn't. I can't believe people still buy EA's sports games, and I can't believe people still give them high scores even though they're getting devalued left and right with microtransactions and have less and less features every year. It's a sham. As for Nintendo, 2018 wasn't their best year but it wasn't a bad one. Loved Torna and I'll be playing Smash for the next twenty years. It's all because of Kirby Battle Royale, it ruined Nintendo's percentage. Hopefully EA can deliver with Anthem and Sea of Solitude. Great to see Monster Hunter World on top - MH really did finally hit AAA Global Status. @amiiboacid Oh well, not like critic reviews mean much. Still a masterpiece in my eyes. Not sure why people are surprised to see EA up there when their sports games are consistently very high quality. Capcoms Renaissance is amazing even if largely powered by remasters and reissues, something Nintendo aren’t shy of. Monster Hunter World and Smash will have done wonders for them two. If Metacritic was a thing in 1992 I suspect this Top 4 would have been very similar. Capcom's user favourite is a Switch game. Sega's best overall release and user favourite is the Switch release. Bandai/Namco best overall and user favourite are Switch releases. NiS best new IP and user favourite....Switch releases. Everyone here would be bashing Nintendo if their games were gambling machines in disguise. @BenAV I can respect that. I'm playing with the same team I played The Division with. We have the Legendary Edition. Whatever that is - is what we playing. We do not spend any money of random in-game textures. But if someone wants to pay for a "Red Armor" that is up to them. It is not a box, You can see what you are buying. Nobody needs to spend 20 dollars on microtransactions. I'm surprised Sony is so low on the list. They had a good year. I betcha Sega wouldn't had been that high on the list if it weren't for Atlus. Thanks to games like Persona 5 and Yakuza it really help Sega top Nintendo and Sony. EA's strategy in publishing "indie" games is paying off. Also, Nintendo's average took a beating by that score in the fifties. I'm sure Nintendo would be higher up in the rankings if they accounted for outliers like that one. @retro_player_22 Yakuza's a Sega series, but otherwise I agree. Sega's got games like SMT, Persona, and Disgaea under their belt-that can only bring them up. @FragRed just letting you know they mass publish good games, but that doesn't mean that the company's good. Also they just go sequel, sequel, sequel, sequel. They'd have been number 1 if it weren't for the reliance on more ports. I wonder if this list takes into account all the review bombing that goes on? I’d take ports out of the average. There was no contest between PS4 and Switch. God of War. Red Dead 2. Spider-Man. Moss. Astrobot. PS made the best Nintendo games this year with Moss and Astrobot. @IHateTombs and like I said... a large number of ports. And you don’t port a lot of low scoring games. Cool they should update the article with that. @Iacobus User scores are too unreliable due to people's personal bias/fanboyisim. @SleeplessKnight the PS4 is in a different development cycle. But this article is asking to compare the two, and Nintendo doesn’t come close. Like I said, Moss and Astrobot are the best Nintendo games last year. Remember when 2018 was suppose to be "Sony's year"? Really interesting to me that Nintendo and Sony both have the same amount of so-so products (11) though Nintendo has a higher amount of good games to compensate (and Sony also had one bad game that brought down the average). @Wolf13 Even without any ports (3DS or Switch) Nintendo would still have an average score of 73.6 they would be at #5 behind Ubisoft, but still ahead of Sony at #6. @BenAV I think my five year old would fight you for saying such unkind things about Lets Go. She's been absolutely bonkers about pokemon since we've started playing together. It's a 10 for me for that. EA?! Heck no! Micro-transaction riddle garbage! They used to make good games, but that was a long time ago! @Heavyarms55 agreed its all about money for them and not quality games anymore they just rush crap out. @misterMike absolutely. I don’t care about any of the companies. Whoever makes the best games gets my money, and Sony got all of mine. If anybody thinks Nintendo was in the same league as Sony last year, they haven’t played anything but Nintendo games. I normally trust Metacritic, but this composite score is bull crap. Sony absolutely decimated the competition in 2018. You know the list is not credible when EA, the West most anti-consumer company and capcom, Japan’s former (now replaces by Konami) most anti-consumer company takes top 3. These are my own calculations and Nintendo’s average includes everything on their Metacritic page but Bayo 1 and 2 separately and Sony includes all of the software listed on their Metacritic page. @FragRed I think the reason EA scores fine with reviewers is that reviewers get everything for free, while the average player has to spend like 900 bucks to unlock everything. 1. Atlus is a 100% subsidiary or development studio of SEGA. It has not been fair to add Atlus to SEGA in recent years. 2. Yakuza has nothing to do with Atlus. SEGA has also released excellent games without Atlus. Including the yakuza you mentioned. @Iacobus That's also why you never take one "official" critic's review as gospel either. The aggregate official media outlet/official critic score is the most reliable as there is FAR less fanboyisim involved since they're paid professionals who get paid the same regardless of their personal platform choice (for the most part anyway).